Box has acquired Streem, a cloud storage and file-sharing startup that specializes in large media files and that has developed innovative technology for streaming that type of content. “The entire team at Streem will be joining Box to help work on the future of content management and collaboration in the enterprise,” wrote Box CEO Aaron Levie in a blog post Monday. Streem developed a file system, called StreemFS, that makes its service behave as if it were a local drive attached to users’ computers. It lets users “natively access files in the cloud right on their desktop,” according to Streem’s website. It’s not necessary for users to keep local copies of the files on their computers and sync them with the versions stored in the Streem cloud. Streem stores a single copy on its cloud service and streams it down to users’ devices on demand. “Files are opened natively on the device, requiring no special software, configuration, or any change in the consumer’s behavior,” the company said in April when it launched the service in a closed beta period. Streem also claims that through custom streaming and buffering algorithms, users can open files stored in its cloud service as quickly as files stored on their computers. The company also developed what it describes as an “on-the-fly video transcoder” that streams videos regardless of their original format and dynamically adjusts the quality based on users’ Internet connection speeds. “Want to watch a 2GB video on your desktop? Streem will open it in your favorite video player and start playing immediately—there’s no lag or delay,” according to Streem’s website. Box plans to incorporate Streem’s technologies into its cloud storage and file-sharing service, which is designed primarily for business use. Box isn’t saying when Streem’s technology will appear in its service, but Levie gave a sneak peek at how he envisions Box customers will benefit. “For customers across data-intensive industries like Media & Entertainment, Oil & Gas, Healthcare, and Manufacturing, this means instant access to far larger volumes of data than what your local drives can support. For enterprises in regulated industries like Life Sciences and Financial Services, it means better protection and control of information and where it lives,” Levie wrote. Streem will migrate its customers’ accounts over to Box. A Box spokesman said the company will provide details later about the logistics of the migration. Although Streem specializes in media files, it has also been used to store other types of content, like text documents and presentations. Streem has apps for Mac OS X, Windows, Linux, iOS and Android. It can also be accessed via a Web browser. 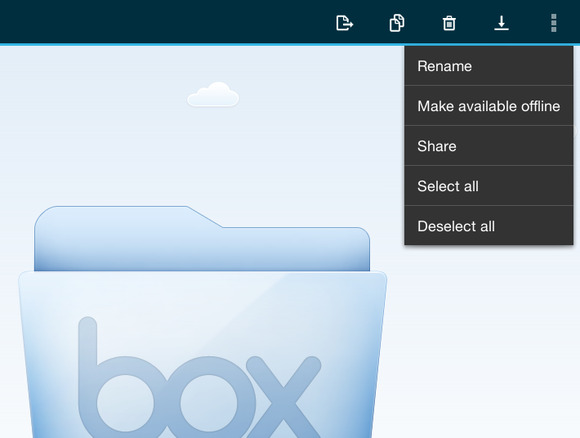 Box, launched in 2005, has carved out a space in the enterprise cloud storage and file-share market, but it currently faces savage competition from giants like EMC, IBM, Google and Microsoft, and from specialists like Dropbox, Accellion, Egnyte and YouSendIt. Box, which filed for an IPO in March but hasn’t yet gone public, is losing money and doesn’t foresee turning a profit in the near future. It closed its fiscal year Jan. 31 with revenue of US$124.2 million, up 111 percent year over year, and a net loss of $168.6 million, compared with a net loss of $112.6 million in the previous fiscal year. It has about 34,000 paying corporate customers, 40 percent of them Fortune 500 companies. However, only 7 percent of its 25 million end users pay for the service. Streem was backed by Y Combinator, an early stage investor. Box didn’t disclose financial terms of the deal. Streem offered the service free to beta testers. It planned to charge $20 per user, per month, with a 15 percent discount for customers who signed up for annual subscriptions. The company was still in its beta testing period when Box acquired it, so it hadn’t started charging customers yet, according to the Box spokesman.